In the Domesday Book, the village was called Hecham or 'settlement on a hill', and added Ferrers in 1251, (after William de Ferrers who freed the serfs), when it was granted Borough status. It stood on a hill close to the river Nene, and evidence of the Roman occupation was unearthed during archaeological excavations prior to the northern town expansion. 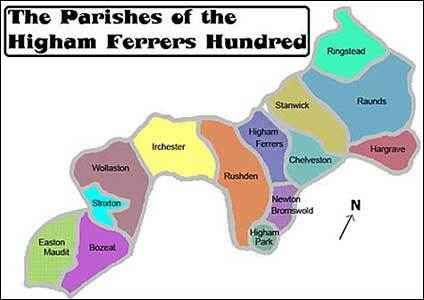 Higham Ferrers was the centre of administration for the Higham Ferrers Hundred parishes. Old Car from Higham Ferrers?